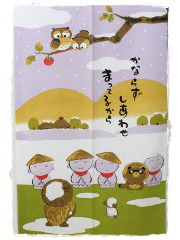 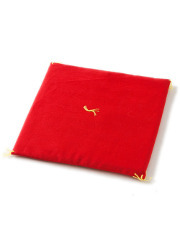 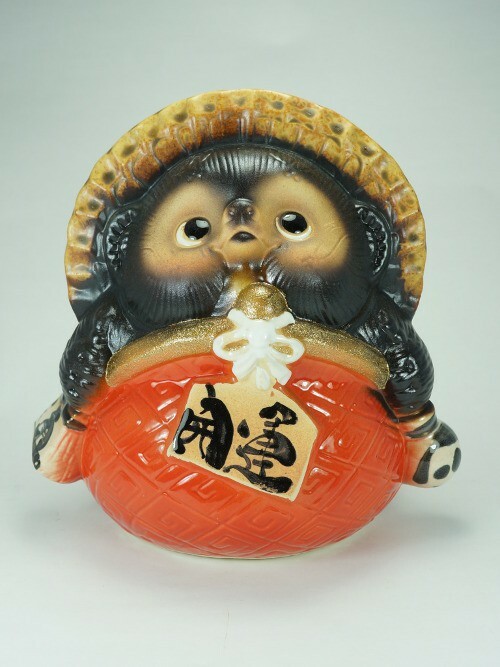 Here is a cute tanuki comfortably sitting in a pretty red wallet, gamaguchi in Japanese. 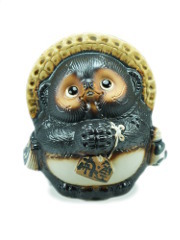 The pronunciation of this word inspired Shigaraki craftmans who did a pun with the famous brand Gucci and gamaguchi. 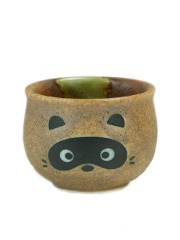 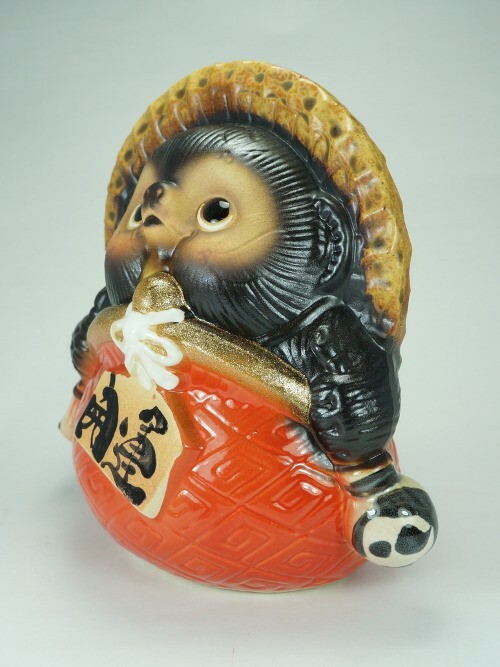 Really relevant when you know that a tanuki is supposed to bring prosperity and wealth to its owner. 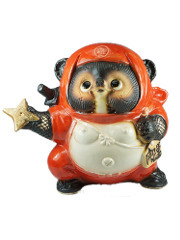 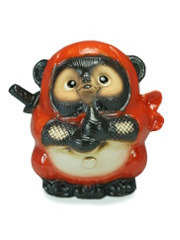 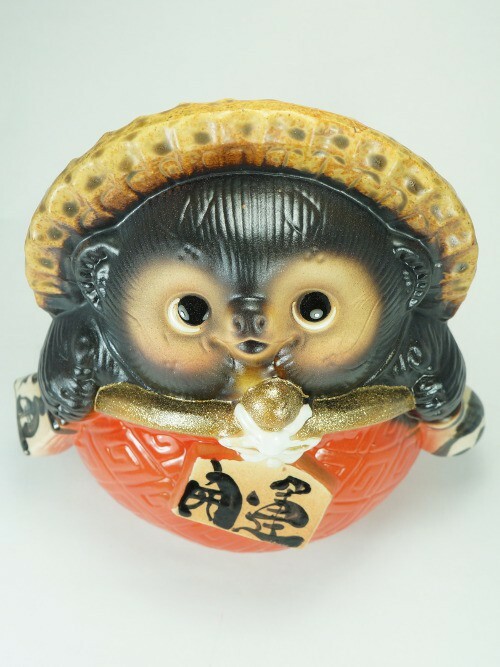 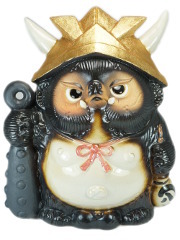 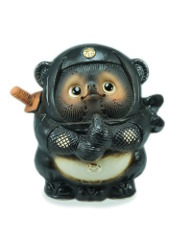 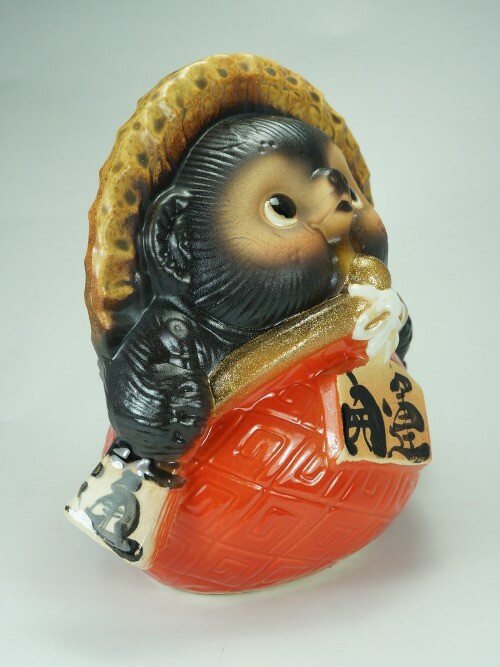 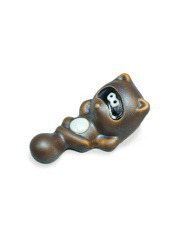 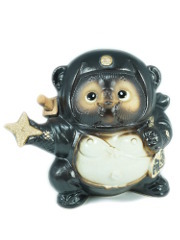 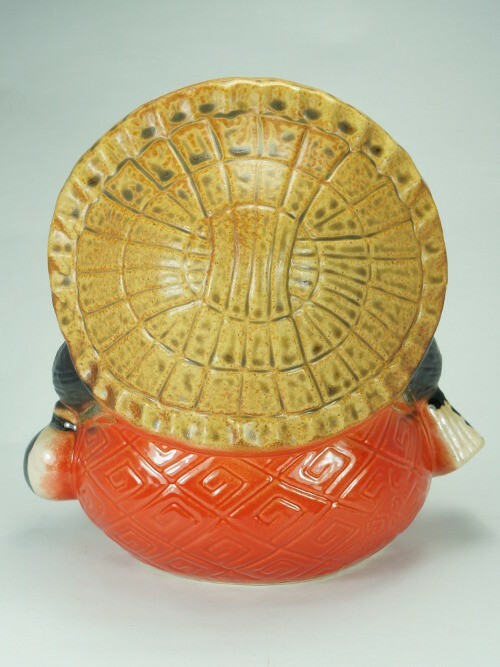 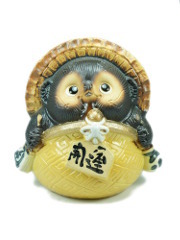 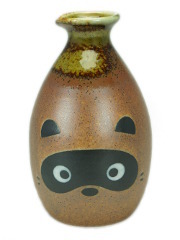 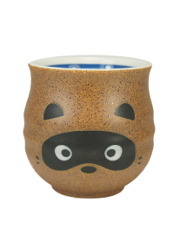 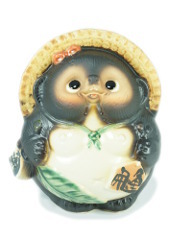 You can recognize some typical elements of a Tanuki: A big belly representing wisdom, a bottle of sake symbolizing merit, big eyes to see all around and make good decisions, a promissory note for trust, a hat protecting from problems and a charming wide smile for its catching good mood.